Remember the Valentine's Day heart bombing project that I did last week in association with One Sheepish Girl's heart bombing day? I wrote up the pattern for my little hanging heart today. 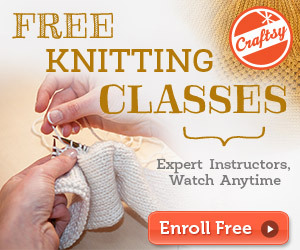 kfb: An increase stitch involving knitting the front and the back of a single stitch to create 2 stitches. 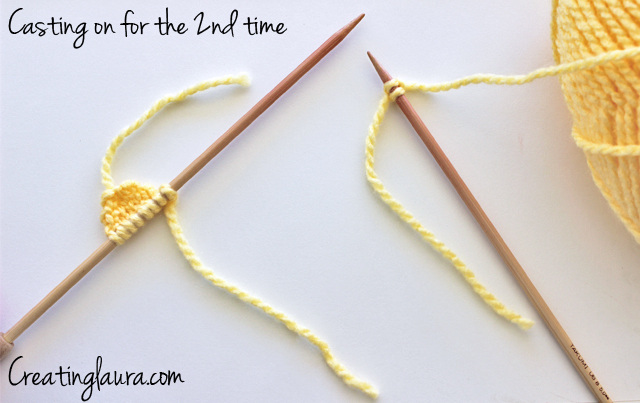 k2tog: A decrease stitch involving knitting two stitches together to form a single stitch. k2tog(tbl): Inserting the needle through the back of the loops of 2 stitches to perform a k2tog decrease stitch. You have now created the top left hump of your heart. Cut the yarn so that your knitting is no longer attached to your skein of yarn, leaving a long enough tail to weave in later. Push the existing knitting down the needle, saving it for later. Repeat rows 1 through 6 again, starting by casting onto the empty needle as pictured below. Now you should have both humps for the top of your heart on one needle. Push them together and knit the rest of the pattern as if it were all one piece. Now repeat the pattern again to make a second heart, and weave in all the ends on both hearts. Stack the 2 hearts on top of each other with the knit side of both hearts facing out so that they are mirror images of each other. 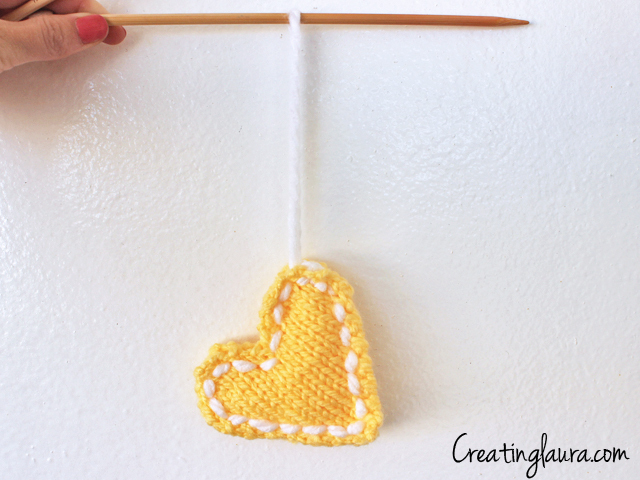 Use your tapestry needle and your contrasting yarn color (I used white) to sew the two hearts together to form one heart. As you do this, purely for aesthetic reasons, try to keep your sewing one stitch away from the edge of the heart as apposed to sewing right along the actual edges. When you have almost sewn all the way around the heart, push a small amount of stuffing between the two sides of the heart; this will make the finished product a little puffier and more 3-dimensional. Once you've added the stuffing, finish sewing all the way around the heart and then make a big loop to hang it from and tie a knot. Cut off the excess yarn and you're all finished. p.s. 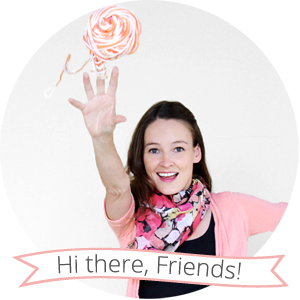 I just subscribed to Gathered by Mollie Makes, which is a cute little iPad magazine. 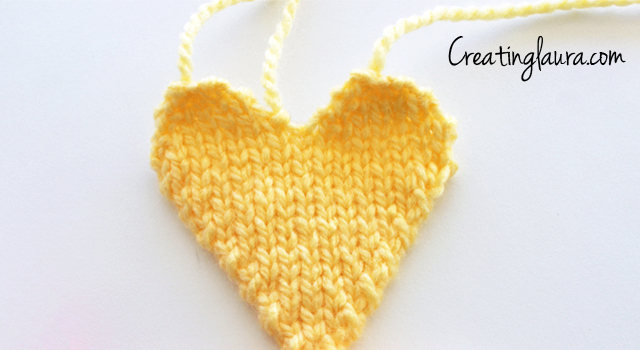 As I was perusing some back issues, I came across a pattern for a garter stitch heart coaster in issue #16 that's really cute, so if you like this pattern you might want to check that one out as well. How is k2tog(tbl) different from k2tog? K2togtbl is exactly what it directs you to do, knit 2 sts together through the back loops of the 2 sts. K2tog is done so by knitting 2 sts together through the front loops as you normally knit. Happy Knitting!